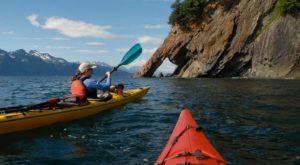 Alaska is known throughout the world for its amazing, quality fresh seafood. 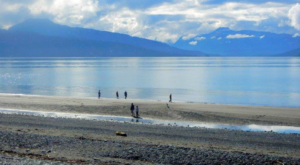 From our famous Alaska Salmon, to our cold water crustaceans, seafood lovers rejoice when they visit our great state. 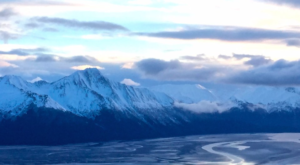 Alaskan restaurants serve some seriously good food, and Seven Glaciers at Alyeska Resort is one of them! 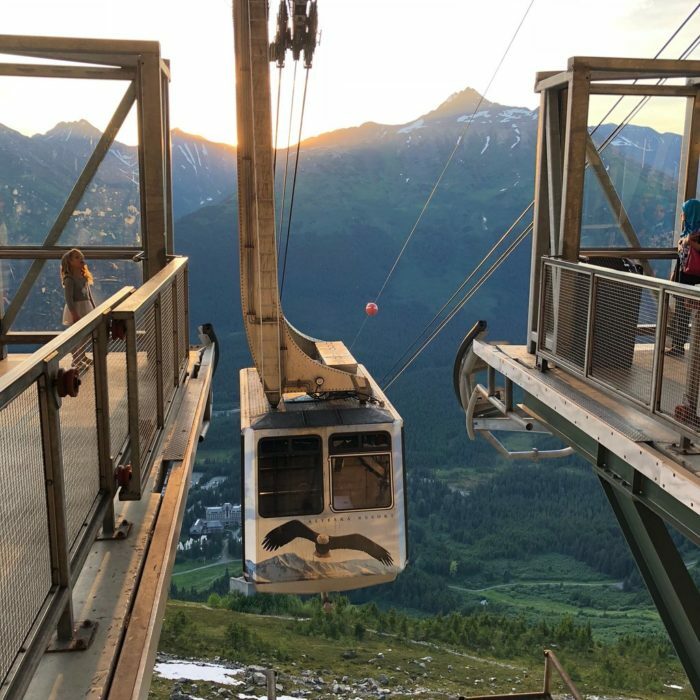 Travel up the tram in style, and enjoy these amazing King Crab Legs 2,300 feet in the air, with one of the best views in the state! 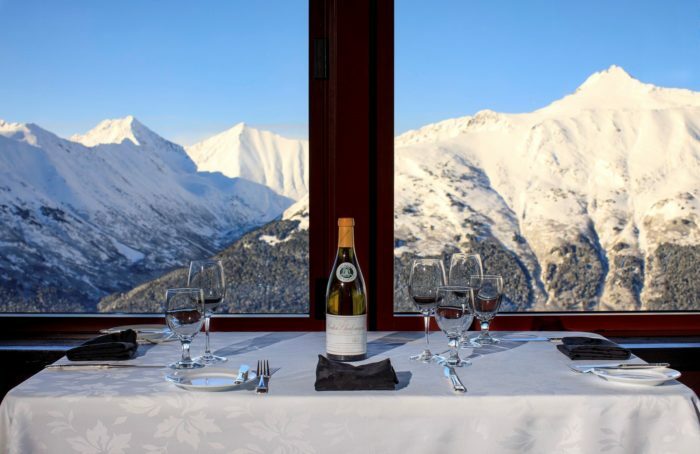 Seven Glaciers is a four diamond, fine dining restaurant located in Girdwood, Alaska. 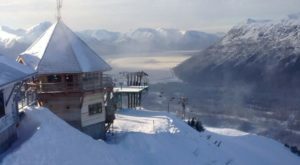 This unique restaurant is actually situated on the top of Mount Alyeska, which is over 2,300 feet high up in the air! The restaurant got its name from the amazing views you have from your seat inside. There are over seven hanging glaciers in the nearby mountain range that you can gaze upon as you have your dinner! 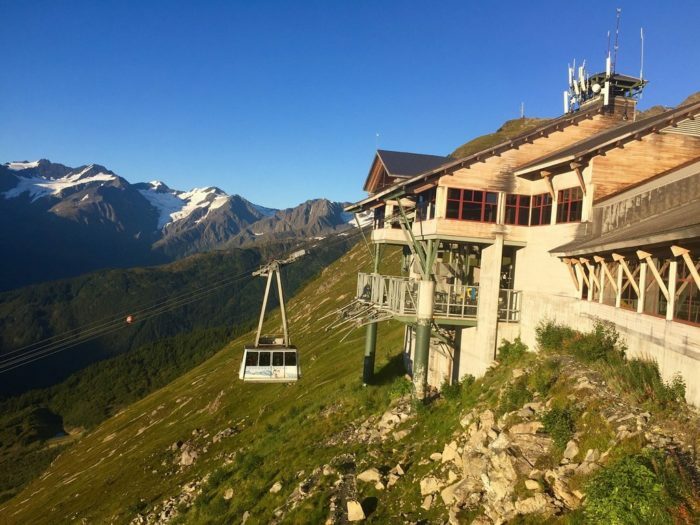 Seven Glaciers is unique in that the only way you can arrive is by aerial tram! This is magical, and the views up to the top are incredible! 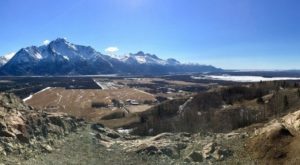 The ride isn't too long, just enough time for you to grab some great pictures of the surrounding mountains and valley before you arrive at the top! Once you're seated, the experience is amazing. With white linen tablecloths, an amazing wine list, and incredible views, you're perfectly set up for an incredible dinner! You will be hard to look past the mountains outside your window to glance at your menu, but what you see will delight you! 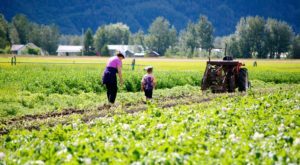 The menu is filled with great Alaskan ingredients, as they feature "Alaskan Grown" whenever possible. The King Crab legs on the menu are actually featured as a side! This is perfect, as you have your choice of half a pound, or a pound added to your entree. This is an excellent way to accompany your meal with a smaller side dish, or get enough to share with everyone! 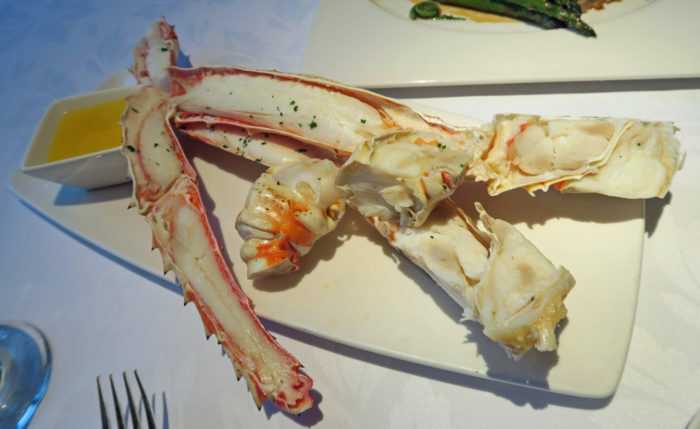 The King Crab legs are served steamed and split open. They take all of the work out of it for you! You can gently lift this delectable meat from the shell without any cracking or messiness. It's served with drawn butter and a lemon slice, but the meat is so tasty you hardly need it! 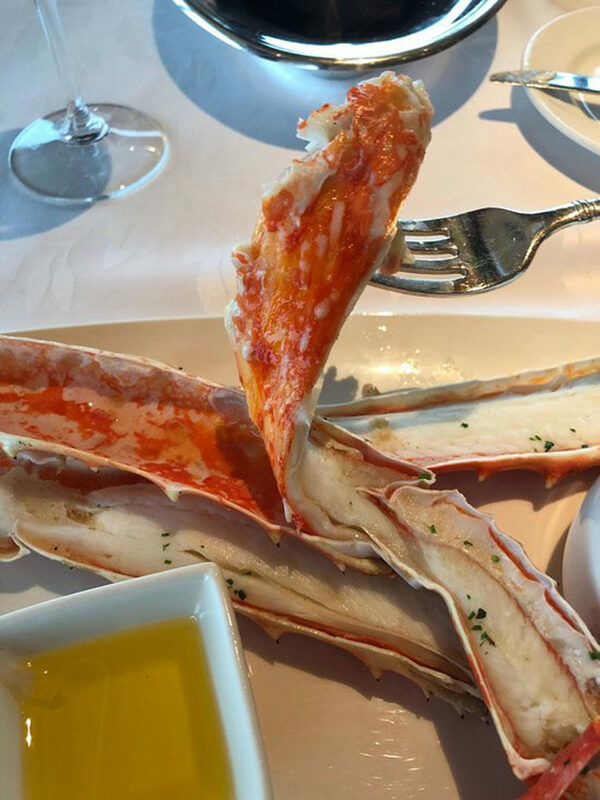 Reviews all over the internet rave about the tenderness and presentation of the Alaska King Crab legs at Seven Glaciers. You can find this restaurant written up in Ski Magazine, where they highly recommend the King Crab legs. Bringing in almost a perfect 5 stars on TripAdvisor, guests can't stop raving about the view and the food! If you're not a crustacean lover, or you have someone in your party who would rather eat another type of amazing Alaskan seafood, don't worry! 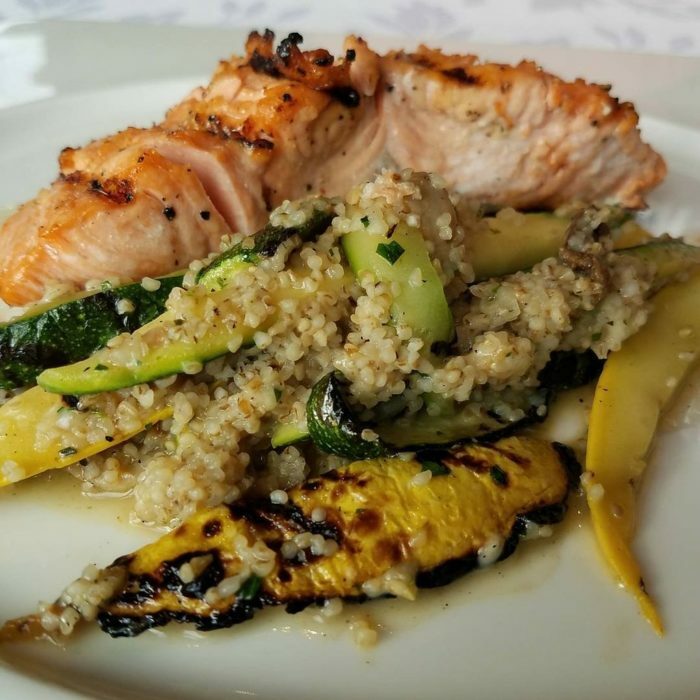 The menu is varied and can feature delicious items like this Alaska Salmon. 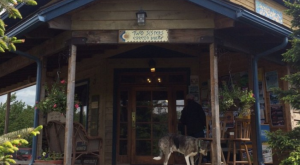 You can visit this restaurant in Girdwood, at the top of Mt. Alyeska at Alyeska Resort. 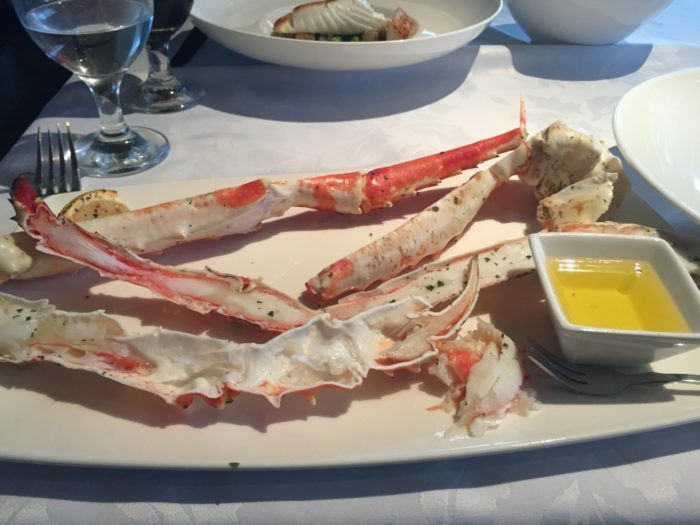 Drive over to 1000 Arlberg Avenue, Girdwood, AK 99587 to enjoy your very own order of King Crab Legs. But make sure to call 907-754-2237 for reservations! Have you ever tasted these delicious King Crab legs? Do you have a favorite type of Alaskan seafood? Let us know in the comments below! 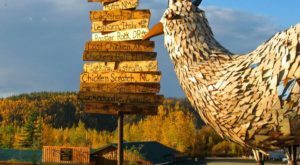 If you’re visiting Girdwood, make sure to check out this Charming Bed and Breakfast In Alaska That’s Tailor Made For A Winter Weekend!